Amazing Marin Homes! From Sausalito to San Anselmo, Mill Valley, Belvedere, Tiburon and beyond, Sharon works tirelessly to help her buyers find great communities, first class schools, special opportunities in easy commute locations. She helps her sellers prepare their homes for market to obtain the highest prices. For both, she provides full service from start to finish and makes the process clear and as stress-free as possible. Sharon Kramlich has been a consistent top producer since 1993. She began her with real estate career with Pacific Union in San Francisco and quickly gained recognition as one of the top 10% performing agent’s in the City. She now focuses her career in Southern Marin, while utilizing her extensive SF network, where she is also within the top 1% of performing agents in the county. 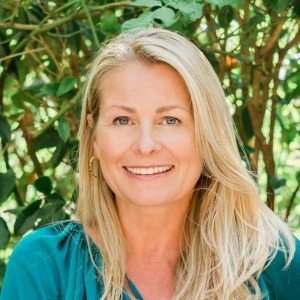 She specializes in working closely with both sellers and buyers in the sale of luxury single-family homes and is a proud member of the invitation only Top Agent Network as well as the Marin Platinum Network. After 24 years with Pacific Union Sharon recently made the move to Compass Real Estate. The combined network that she has cultivated with Pacific Union as well as hundreds of Top Agents throughout the Bay area and now Compass, gives her an unparalleled regional network that her clients benefit from. ‘With a presence in the major markets nationwide, Compass offers the reach I need to source potential buyers throughout the country and assist my relocating sellers, wherever they plan to go’. Sharon provides customized luxury marketing and networking for all of her listings, carefully focusing on the buyer profile and generating maximum publicity in the marketplace. Her personal services feature access to her wide-ranging resource list of professional tradespeople, including contractors, stagers, painters, and landscapers all of whom can help her sellers achieve the highest value for their home. Designers, strategists, and producers from the world’s foremost creative companies are the talent behind the Compass brand, developing eye-catching, sophisticated materials that attract and resonate with my buyers, sellers, and beyond. Sharon strongly believes in understanding each client's unique needs and goals. Fundamental to Sharon's success is her attention and sincere commitment to her clients, her passion for selling real estate and her tenacity in negotiation the best possible deals on behalf of her clients. She is responsive, accessible and pays attention to the details. Because of this commitment, Sharon has distinguished herself by generating 80% of her business from past client referrals. See Sharon's website, www.sharonkramlich.com, for information on some of her most recent sales.